If you have an Amiga with an internal CF drive or any other way of playing whdload games such as through Emulation like WinUAE, then this may be the software update that your Amiga thanks you for. 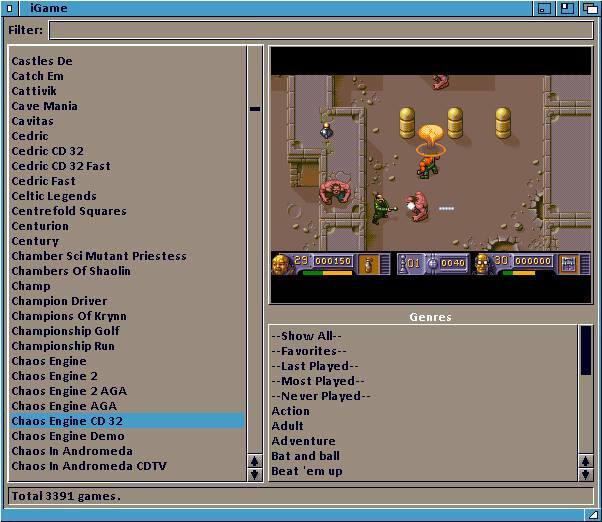 Although there are other OS utilities to play Amiga games such as AG-launch and X-Bench, iGame was one of the most practical of game launchers during any CF install. So if you remember it, especially if you've installed ClassicWB, then you'll be pleased to know iGame has reached version 2 and it's the first public beta! 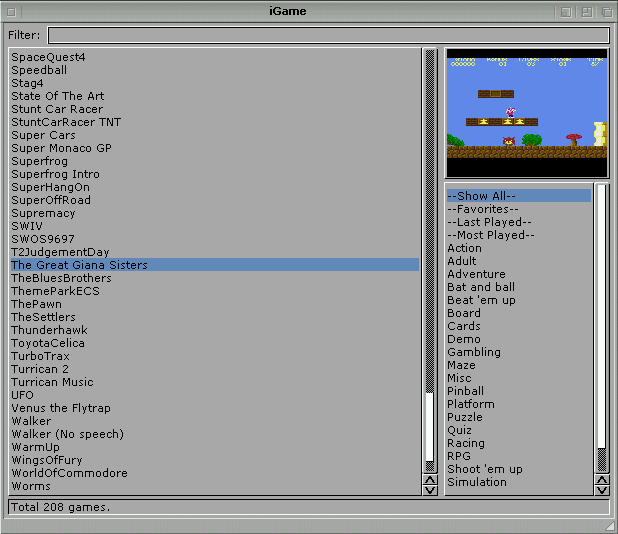 As noted by the main site, iGame is a MUI based frontend for launching and managing whdload games. It's purpose is to catalog your games, and provide a simple way of finding and playing them with features including hard disk scanning for installed games, game screenshots, game catagories and filters, the manual addition of non-whload games, statistics, and even a search filter. As for the latest version 2 which is a rather major release, iGame has been re-written from the ground up, brand new settings, a redesigned GUI, improved handling and much much more!